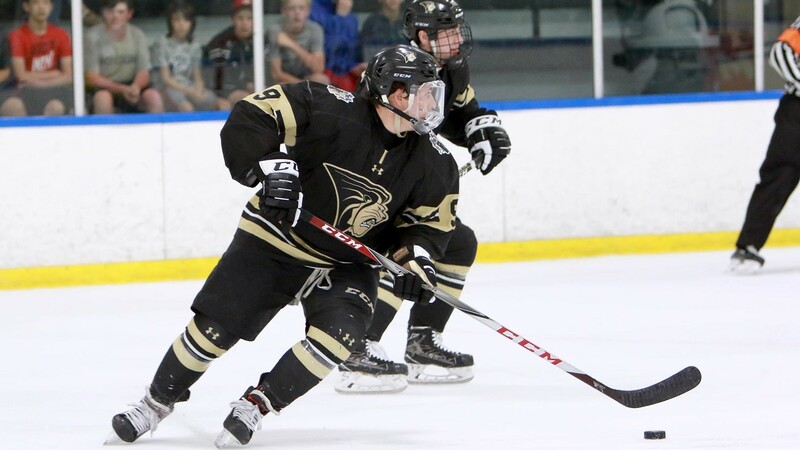 UNION LAKE, Mich. – (December 5, 2018) – Lindenwood University retains the top spot in the 2018-2019 American Collegiate Hockey Association Men's Division-I Ranking, No. 9. The Lions are done with games in 2018 and finished the first semester with a perfect 16-0-0 record. The University of Michigan-Dearborn (7-0-0) solidified its hold on the No. 2 spot after handling No. 3 Adrian College 5-3 on the road at Arrington Ice Arena in Adrian, Mich. Justin Dunn led the way with two goals including the game-winner while Thomas Proudlock was bullish in net making 45 saves on the night. Michael Barrett turned away 40 shots in a losing cause, the Bulldogs first loss since November 18, 2017. Adrian College was able to bounce back from its first loss with a home and home conference sweep of Kent State University to up its record to 15-1-0 on the season. Rainer Glimpel paced the way on the weekend with two goals and three assists while defenseman Jordan Oshowy had a goal in both games. No. 4 Ohio University improved to 11-2-3 after a home conference sweep of Robert Morris University Illinois. Gianni Evangelisti led the attack with three goals and an assist while Jimmy Thomas got both wins including a shutout on Saturday night. Rounding out the top 5 was idle Iowa State University (10-4-0). Moving into the polls this week is No. 21 Illinois State University while Western Michigan University drops out of the Top 25. The Central States Collegiate Hockey League leads the way with all five of its member teams ranked, while the Western Collegiate Hockey League has seven (of 8) of its member teams ranked, the Eastern States Collegiate Hockey League has four (of 6) of its member teams ranked, and the Great Lakes Collegiate Hockey League has three (of 8) of its member teams ranked. The tenth ranking of the regular season will be released on Wednesday, December 12, 2018.